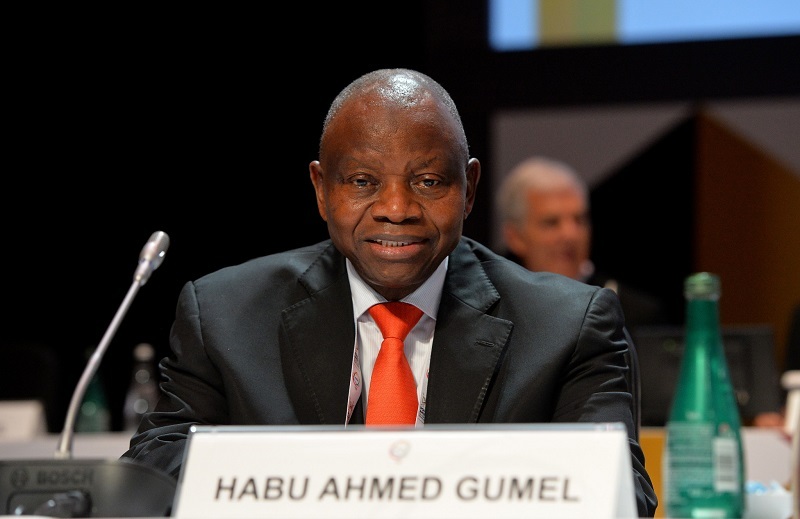 Habu Ahmed Gumel has retained his position as the President of Nigeria Olympic Committee (NOC) and member of the International Olympic Committee (IOC). Gumel contested unopposed and scored all the 35 votes to retain his seat for the second time. The NOC election, which took place in Yola on Thursday, saw Babatunde Popoola, the Secretary General of the committee, lose his position with a wide margin to Olabanji Oladapo who is now the NOC Secretary-General. Minister of Sports, Solomon Dalung, who attended the Annual General Meeting of the NOC, charged state governments to "dedicate 33 per cent of their security vault to sports development". He noted that doing so will take restive youth off the streets and reduce security challenges in the country. Solomon Ogba also retained his position as 1st Vice President, Kenneth Obi got the office of the 2nd Vice President, Ishaya Dikon emerged 3rd Vice President, while Bappa Aliyu Misau, the Treasurer, was reelected. Femi Adetola is now NOC's new Public Relations Officer. The two women who contested the positions of 2nd Vice President and Treasurer, respectively, both lost.